Sample gown, never been worn. 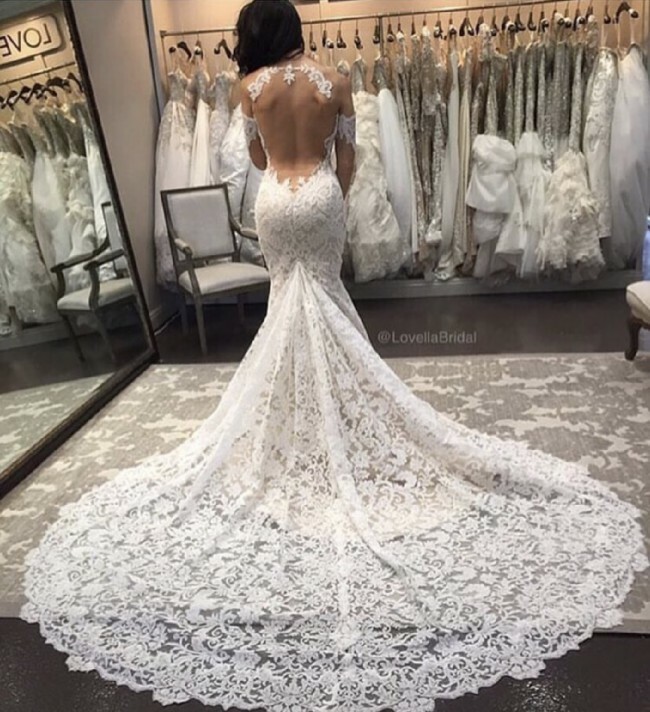 Detachable sleeves and beautiful long train. Dress is absolutely stunning but won’t fit me for my speacial day as I’ve put on some weight. The lace has a gorgeous soft pattern and the backless design is such a stunning feature.